Diapers might be getting better, thinner, long-lasting, but they certainly aren’t getting any less expensive. A new in-depth report from the Tampa Bay Times tallies up the expensive burden diapers can be to families on the edge of poverty. The average diaper sells for 25 cents, but when newborns need upwards of 12 changes a day diaper costs then turn into $21 per week, then $84 a month. Cloth diapers are too fussy, laundromats don’t take them and you have to wash them too regularly, and the cheapest diaper options aren’t as effective. Factor in that daycares often require parents to bring diapers each morning, and parents need daycare to work to pay for said diapers. The ability to buy diapers as a low-income parent seems impossible—and it’s not a rarity. Tati sniffed his diaper and wrinkled her nose. She rifled through the old backpack Lalandria was using as a diaper bag. “There’s nothing in here,” she said. “You check the front pocket?” Lalandria asked. Lalandria had just $18 left in cash assistance for the month. She promptly drained it on two small packs of store-brand diapers from Publix. Within days, Lalandria was back down to just five clean diapers. The moment she realized, she felt her chest tighten. She began pacing her room. An hour later, she called her uncle and asked for help. He stopped by early the next morning with two small packs. Lalandria thanked him. But the tightness in her chest remained. She knew how quickly those diapers would go. 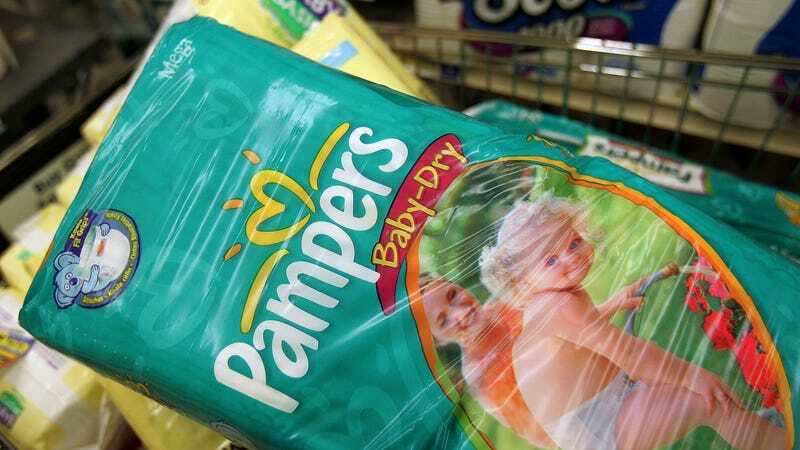 The paper reached out to five different diaper companies to talk about the engineering and manufacturing of diapers to get a sense of why they’re so expensive, but none wanted to speak, as did many industry insiders. At an industry conference in Austin about diaper innovation, there were no panels discussing how to make diapers more affordable. And while Tampa Bay Times’ report largely focuses on Florida laws and cash assistance programs for families to help with diapers, the article notes that in 2016 President Obama urged Congress to devote $10 million to close the “diaper divide.” Congress ultimately did nothing, but there has been legislation introduced in other states to help parents buy diapers cheaply and easily.